Anchor: Seoul and Beijing have managed to get over the long-standing row over the deployment of the U.S. THAAD antimissile battery in South Korea. Despite China's fierce opposition and its economic retaliation, the advanced missile interceptor battery was fully installed in South Korea in September after the first batch of the THAAD system arrived on the peninsula in March. In a statement announced jointly with Beijing on Tuesday, South Korea said it recognized China’s concerns, and that the American missile interceptors will not be aimed at any country other than North Korea. Report: Since Seoul's announcement last year that it would house the U.S. THAAD antimissile system on its soil, China had called for scrapping the decision. The conflict of interest led to Beijing's economic retaliation against South Korean companies and products. The foreign ministries of Seoul and Beijing on Tuesday announced that they will leave behind the disagreement over THAAD, saying their ties will return to normal in all fields. Addressing Beijing’s concerns, Seoul promised that the American system will not be fired at a third country. The deal was reached at the recent talks between the South Korean Presidential Deputy Director of National Security Nam Gwan-pyo and Chinese Assistant Minister of Foreign Affairs Kong Xuanyou. Officials revealed that the two have been holding talks since South Korean President Moon Jae-in and Chinese leader Xi Jinping held a bilateral summit in July. The South Korean deputy national security director told reporters that the two presidents will hold talks again next week. 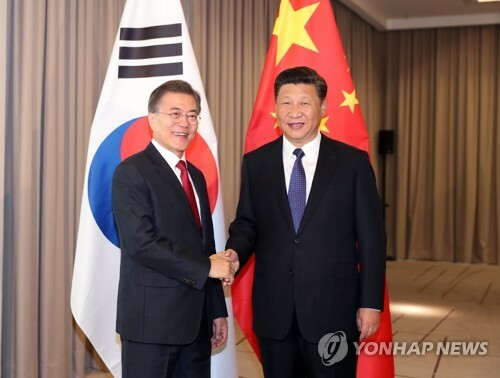 "South Korea and China agreed to hold a summit between presidents Moon Jae-In and Xi Jinping during the APEC summit scheduled to be held in Da Nang, Vietnam, next week. 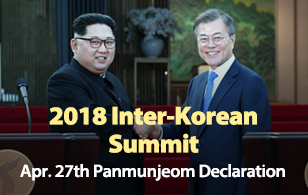 [This summit] can be called the first step in implementing the agreement, mentioned during the joint announcement made shortly before on the result of negotiations between South Korea and China to enhance their relationship, to promptly recover connection and cooperation in all areas between the two countries." Speaking to reporters on Monday, Chinese Foreign Ministry Spokeswoman Hua Chunying added weight to the South Korean top diplomat's recent remarks that Seoul will not join the wider U.S. missile defense system and that the security cooperation of South Korea, the U.S. and Japan will not evolve into a military alliance. "China always opposes the THAAD deployment by the U.S. in South Korea. We hope the South Korean side can translate these commitments into actions, deal with the issue in a proper manner, and bring the China-ROK relationship back to the track of smooth and sound development." Signs of thawing relations have already emerged. Seoul and Beijing recently agreed to extend their bilateral currency swap deal. A key Chinese travel agency also now appears to be getting ready to resume large-scale group tours to South Korea after a long hiatus.